For the past couple of weeks, I’ve been showing you how I am transforming my sun room from a total disaster into something that I am proud of and can enjoy. 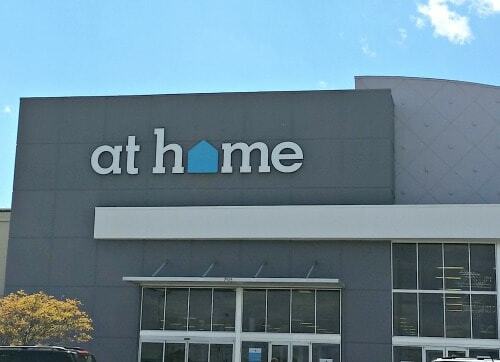 I also took you on my At Home shopping trip so you could see all of the amazing and affordable home decor they have to offer. Now I will show you my At Home haul. I can’t believe all of the affordable and stylish things I found all in one store! The first thing I really wanted was more seating in my sun room. I have a settee that I bought last year and I wanted something that would match that. 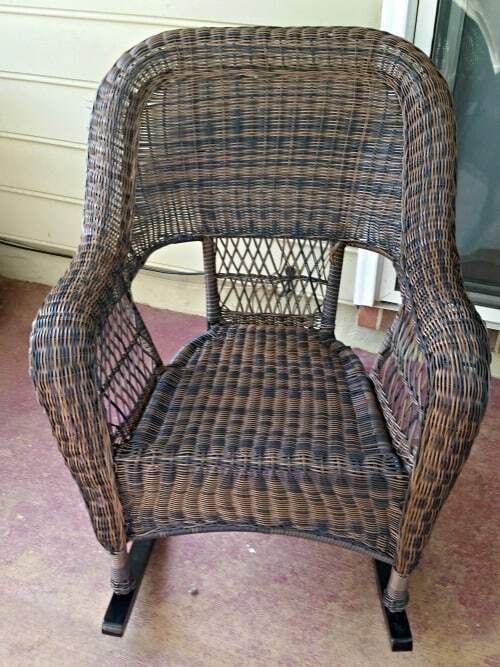 I found a beautiful dark brown wicker rocking chair at At Home to match! At first, I couldn’t find any rockers in the store. Then I realized that the gliders (is that what they are called?) were in a box that was attached to each chair. So if you don’t notice the rocking chairs put together, look for the chairs with the boxes attached. I love the chair I bought and it was very easy to assemble. Plus, the price made me love it even more. It was only $99! That is a lot cheaper then some of the other stores I was looking around in. Now that I had the furniture, I needed to get some cushions. I wanted something that was comfortable and stylish. I didn’t know what colors I wanted going into the store but I found these beautiful teal colored ones that I fell in love with. These are totally my colors. The cushion for the settee was only $39.99 and the one for the rocking chair was only $19.99! They are so comfortable, especially the larger one. 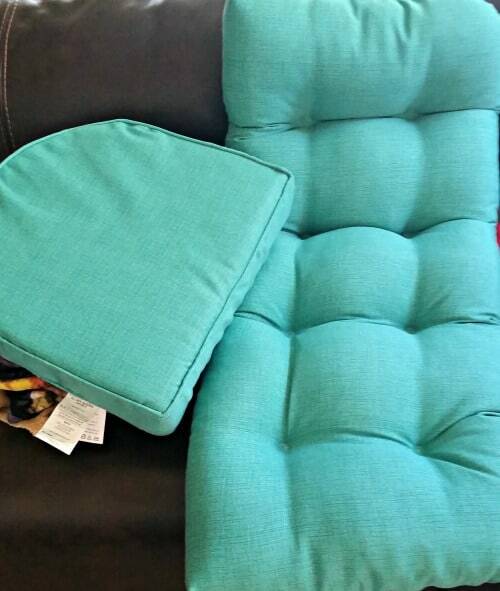 I also found some gorgeous pillows that compliment the teal cushions beautifully. 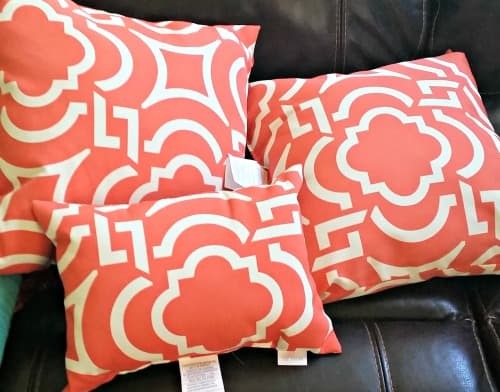 I love these Carmody Mango pillows. The design is elegant and the color is so bright and cheerful. I even found some adorable end tables to match the pillows! 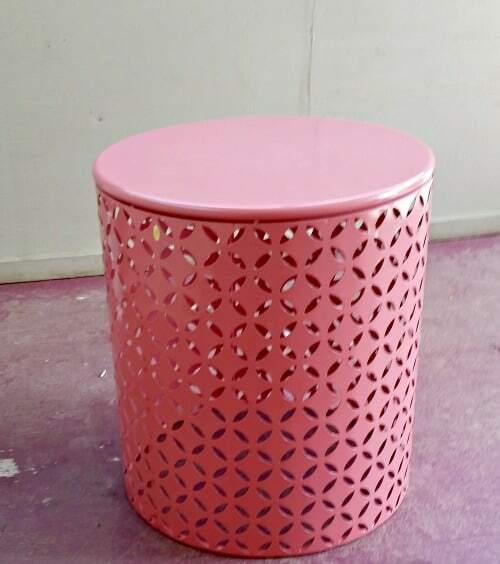 I got two of these Diamond End Tables in Coral. They were only $39.99 each! They are made of metal so they are very durable and very easy to keep clean. I love the retro feel that they have. 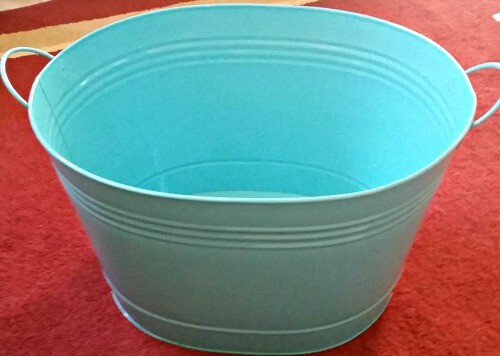 I also found a cute little metal bucket to store all of my garden supplies in. I love the bright blue color and the fact that it is large enough to hold all of my stuff without being bulky and cumbersome. 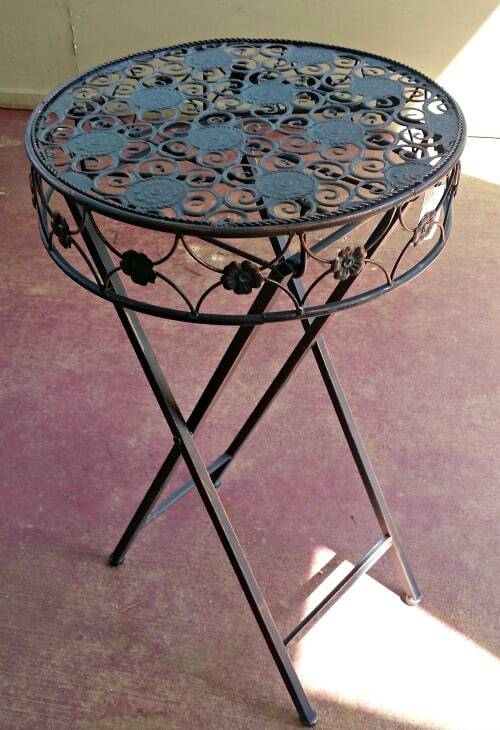 The last piece of furniture I bought from At Home was this metal plant stand. It was only $14.99 and it fits nicely into the corner of the room. I have a potted plant that fits it perfectly. I love the design on the table. I had the furniture and cushions but I needed some decor to pull it all together. I found this beautiful blue glass candle holder that has a real coastal feel to it. I thought it would look good with this white candle. 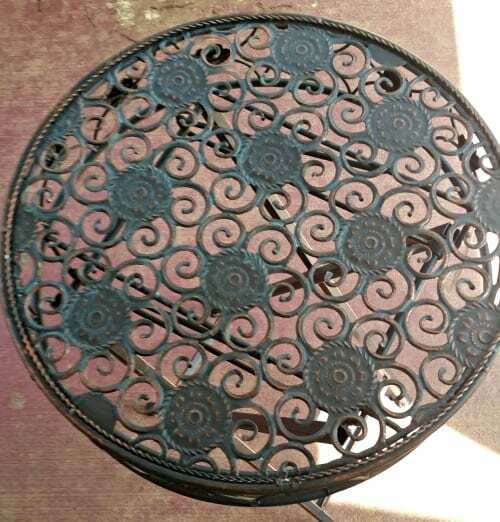 I also found two more candle holders that had kind of the same design that was on the pillows. 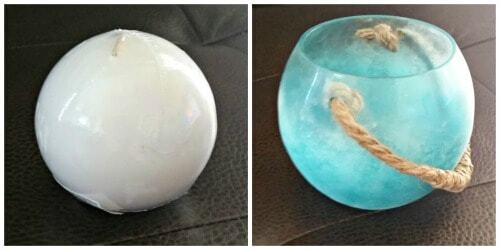 I bought some coral colored candles to go in them. They smell fantastic by the way. 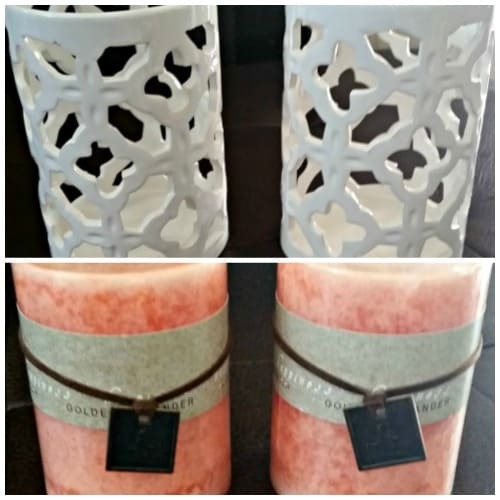 I snagged the candles on sale for only $2.50 each! These are pretty large candles. I don’t have a whole lot of wall space in my sun room. It is mostly screened in. But I do have a little area where I wanted to hang some decor. 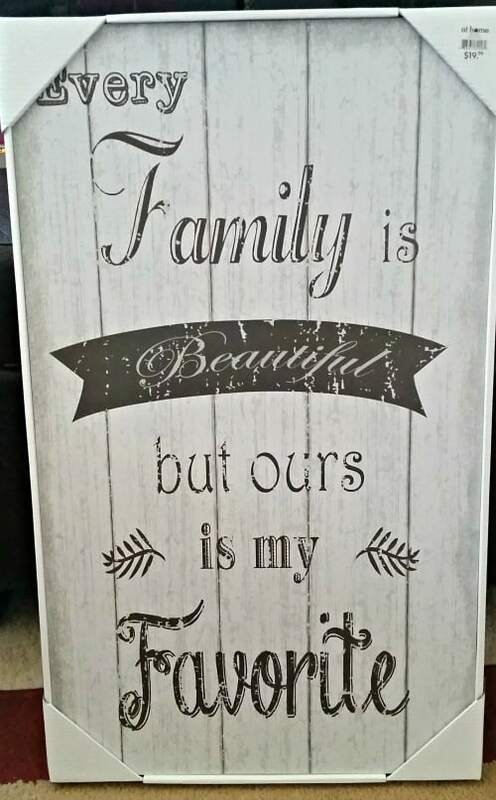 I found this sign that sums it all up perfectly, ” All families are beautiful but ours is my favorite.” I love the rustic look to it and how it is a little bit faded. If you need some inspiration for your outdoor area, you can check out HGTV for some great ideas. I got my color scheme from something I saw on there. I can’t wait to put all of this together and have my sun room ready for entertaining. I listed the prices for most of the items that I bought so you can see just how affordable At Home is. I couldn’t believe all of the selection and how the prices were some of the best I have seen this season. I encourage you to check them out for your next decor project. In a couple of weeks I will show you the big reveal of my spring project. Stay tuned!